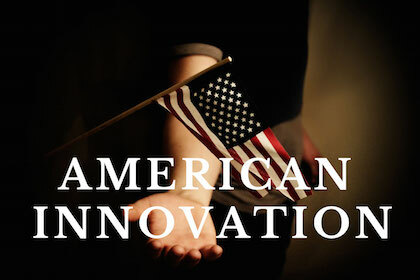 Innovation is the backbone of America. The first RVs were built in 1910 because Americans didn’t want just to go where the trains would take them. Then in 1956, President Dwight D. Eisenhower signed the act that built the highways, bridges and tunnels that allowed us to move even more freely about our country. The road gave rise to more types and better-made RVs and the $50 billion industry it is today. According to his website, Kyle Henson is a full-time RVer who founded RVer Health Insurance about 4 years ago to focus exclusively on health insurance for RVers, but has since added other products, like dental, vision, long term care, and even roadside assistance. He’s done this by using brokers and agents to fill the needs of full-time RVers at home (wherever that may be) and on the road. Recently, they negotiated a whopping 40% discount membership for pre-paid emergency medical transportation from MASA Medical Transport Solutions. Three generations of Carr’s built the EscapeesRVClub, a group that helps RVers get their mail on the road. But these innovators didn’t stop there. They now offer a job center to help RVers generate income on the road and a member directory to find over 700 trusted RV products and services. If you aren’t sure who you can trust, the Carr’s keep a list of endorsed vendors from insurance companies to roadside assistance. They also offer an advocacy coalition to keep RVers informed of any RV-related political legislation and provide RVers the opportunity to join grassroots campaigns that favor RV-friendly legislation. They publish a magazine, hold rallies, and love online discussions. Jump in on the conversations, or just learn more about the innovative Carr family by visiting their nicely organized website. Are you an RV innovator? Or know one that has made life easier for you? Share them on our Facebook page.